Tired of Swiping? 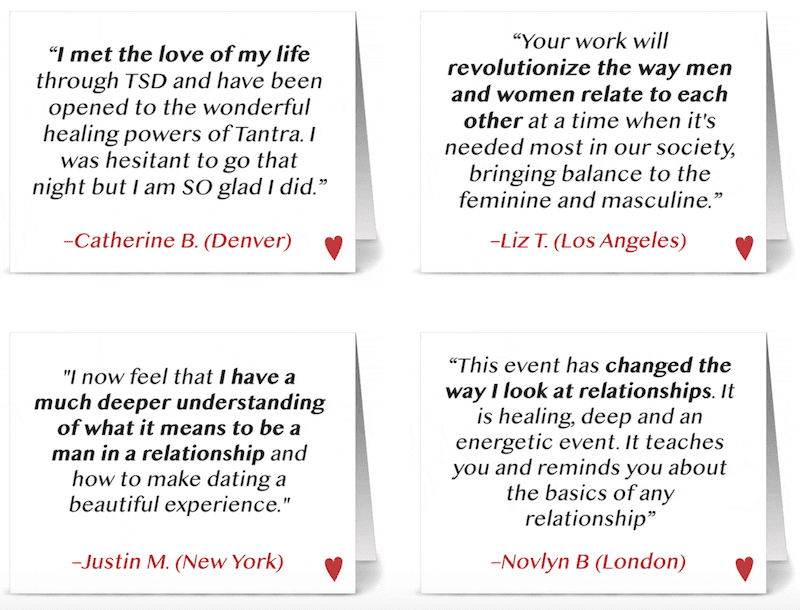 Tantra Speed Date isn't your average dating event. Relationship skills games + speed date, you'll share moments of fun, guided connection with up to 24 dates in a traditional Puja circle. 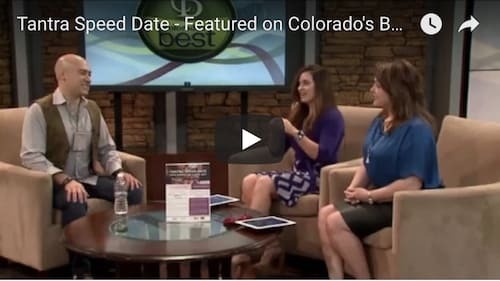 Over 5,000 singles have gone on 40,000+ dates in 20+ cities worldwide. 95% have matched with one or more dates. If you don't match, your next event is on us! Exercises are playful, PG-rated (verbal dyads, dance, light partner yoga, improv), and infused with positive relating skills. You'll walk away not only with matches, but with a refreshing perspective on what relationships can be. * Please arrive on time to check in and receive your dating materials. * Events do sell out, so purchase tickets online to guarantee your spot. Door tickets are cash only and subject to capacity and gender balance. Well, for starters, it's not what you saw in the movie American Pie! Tantra is thousands of years old and has become a buzzword, which unfortunately has some misleading definitions. Translated from Sanskrit, it means "weaving," which we have come to understand as oneness. Bringing oneness to yourself and consciousness to what you do. Exercises involving breathing and meditation are a part of Tantra and are designed to bring you into a state of being more present. And who doesn't want to be more present, right? A Puja is an intentional ceremony. Translated from Sanskrit it means reverence, honor, an offering. It is a ritual designed to open our hearts and allow us to see the inner beauty within ourselves and all beings. It invites us into the elegant dance of masculine and feminine in a warm space of oneness and connection--what a great way to start your first date! Participants form two circles facing each other. The men form the outside circle and the women form the inside, with each woman facing a man. Each pair then share a meaningful exchange through a directed exercise (a Puja “station”), which can be for a few seconds or a few minutes. Then they put their hands together in Namaste, thank each other and--like a speed date--rotate to the next person. The ceremony ends when everyone has rotated a full circle. What are some of the exercises? We'll do connection exercises: breathing, meditation, light partner yoga, speaking a vulnerability, eye-gazing, dance, conscious touch (holding hands, hands on heart)… things that go a bit beyond the obligatory “what do you do/where are you from.” And you're always invited to go as deep as you choose. What if I don't feel comfortable doing the exercises? Thanks for asking! We take consent very seriously and have a zero tolerance policy for any inappropriate behavior--which thankfully we have never needed to enforce. While the exercises are straightforward and fun, you are always 100% at choice for how you wish to participate. If you find an exercise that doesn't work for you, then--just like in yoga--you always have the option to modify, or completely opt out. Everyone is encouraged to participate at their own comfort level, and our facilitators go over what that looks like at the beginning, so everyone is clear before we begin. Yarah Sutra is a masterful healer and Tantric Shamanic Priestess who helps people go from being in pain to becoming empowered. 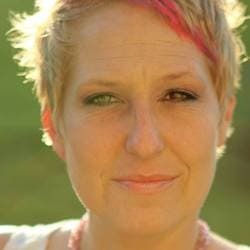 Her teachings are deeply rooted in over 22 years of applied study in ecstatic dance, massage therapy, tantra, self-care and emotional mastery; relationships and communication; shamanism and other related spiritual arts. Yarah offers workshops, retreats, and classes throughout the US and online, as well as, works with clients one-on-one in her private practice in Seattle and while traveling to a city near you.